Update yourself on the status of MP in your country. Link with potential partners who work on issues relating to working women and gender equality in your country - including trade unions, worker’s groups, women’s organisations - to galvanise action for better Maternity Protection. Cooperate with more employers to create breastfeeding friendly rooms or corners/spaces at the workplace. 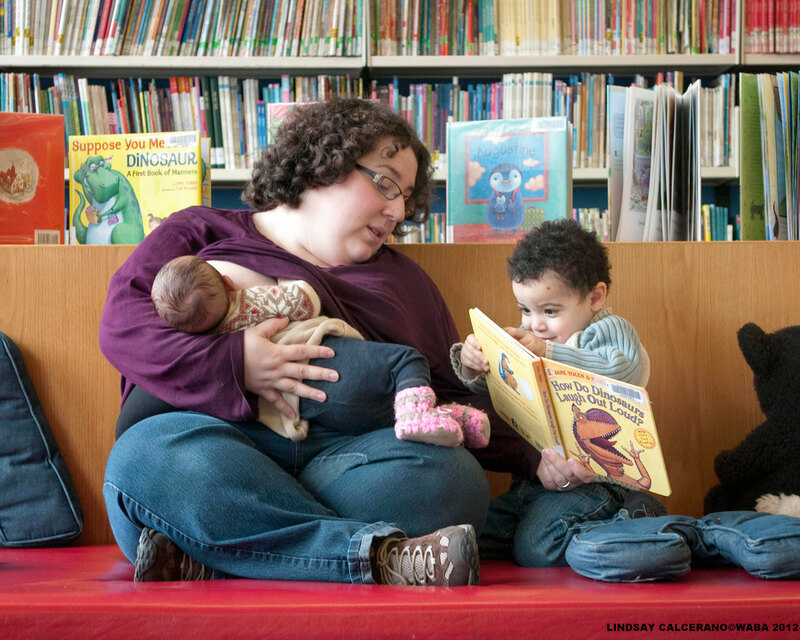 Set up a Breastfeeding or Family/Parent-Friendly award system for supportive employers to motivate more employers to implement breastfeeding-friendly practices! Start up or strengthen local Peer Counselling and/or mother support groups to respond to the needs of women working in more marginalised sectors. Identify appropriate local authorities to look for creative ways to bring maternity protection benefits to women in the informal economy. Identify women’s groups in your community or country that may have data on the situation of women in the informal economy. Combine forces to see how best to respond to women’s needs in the informal economy to balance work, breastfeeding and child-rearing. 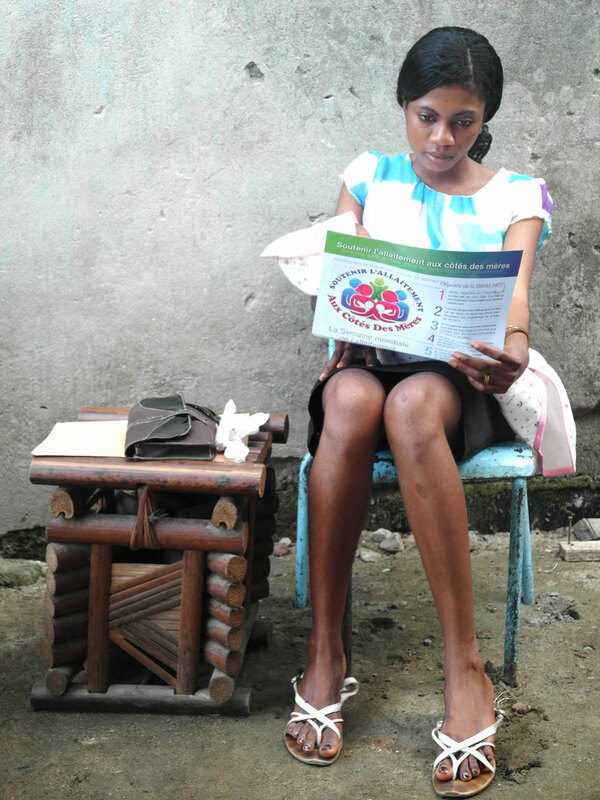 b) “Extending maternity protection to women in the informal economy: An overview of community-based health-financing schemes” ILO Working Paper. Season’s Greetings from the WABA Secretariat! 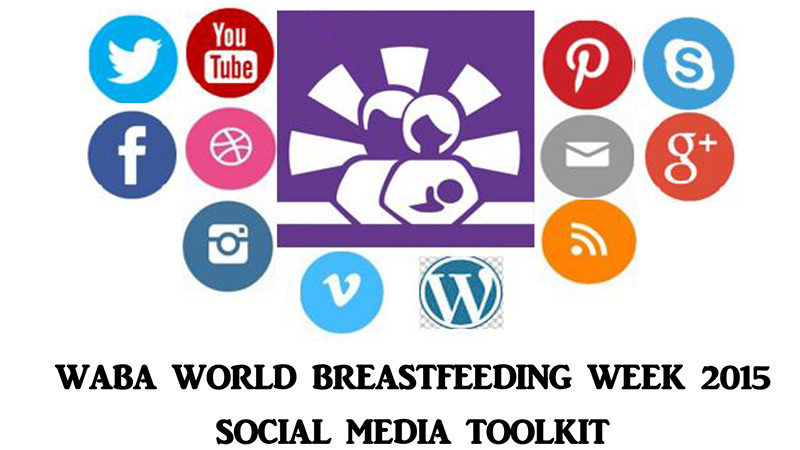 As we approach the end of 2015, WABA would like to sincerely thank all WBW celebrants from across the world who celebrated World Breastfeeding Week so positively and enthusiastically. 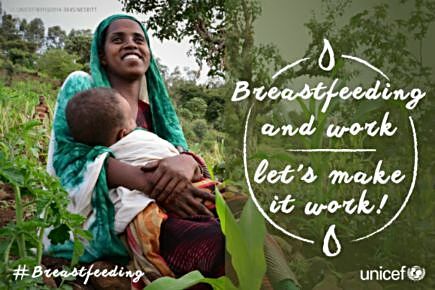 This World Breastfeeding Week, WABA calls for concerted global action to support women to combine breastfeeding and work. 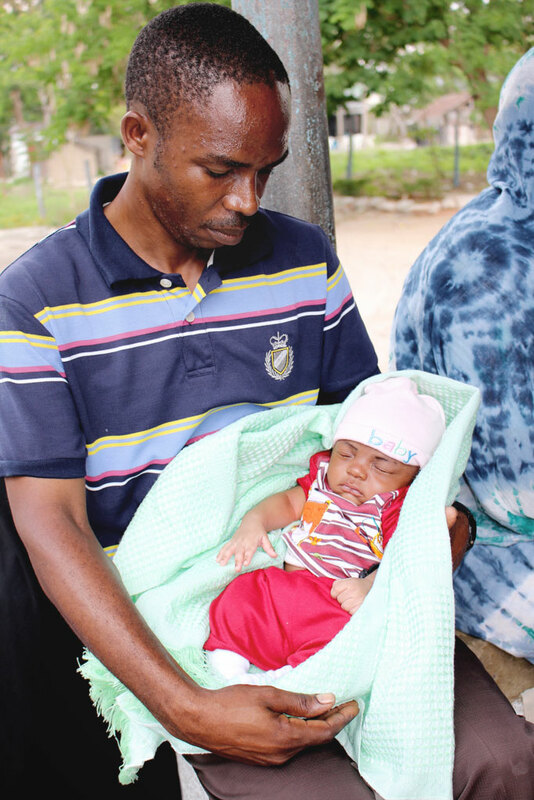 Whether a woman is working in the formal, non-formal or home setting, it is necessary that she is empowered in claiming her and her baby’s right to breastfeed. The WBW 2015 theme on working women and breastfeeding revisits the 1993 WBW campaign on the Mother-Friendly Workplace Initiative. 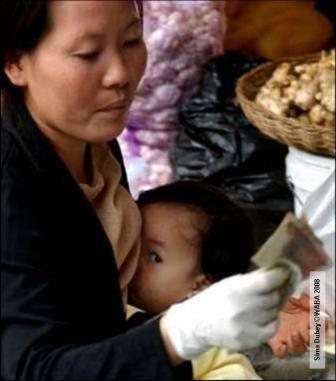 Much has been achieved in 22 years of global action supporting women in combining breastfeeding and work, particularly the adoption of the revised ILO Convention 183 on Maternity Protection with much stronger maternity entitlements, and more country actions on improving national laws and practices. At the workplace level, we have also seen more actions taken to set up breastfeeding or mother-friendly workplaces including awards for breastfeeding-friendly employers, as well as greater mass awareness on working women’s rights to breastfeed. The Innocenti Declaration (1990) recognised that breastfeeding provides ideal nutrition for infants and contributes to their healthy growth and development. There is much that remains to be done despite 25 years of hard work, particularly on the fourth Innocenti target that calls on governments to “…enact imaginative legislation protecting the breastfeeding rights of working women and establish means for its enforcement”. With the WBW 2015 campaign, WABA and its partners at global, regional and national levels aim to empower and support ALL women, working in both the formal and informal sectors, to adequately combine work with child-rearing, particularly breastfeeding. (We define work in its broadest form from paid employment, self-employment, seasonal and contract work to unpaid home and care work). Various strategies exist to support women working in your country or community from long-term actions to short-term actions. Together, we can make it work! The WABA Coordinated World Breastfeeding Week is part of the gBICS (Global Breastfeeding Initiative for Child Survival) Programme entitled: "Enhancing Breastfeeding Rates Contributes to Women's Rights, Health, and a Sustainable Environment". The gBICS Programme aims to contribute to the achievement of sustainable development - beyond the Millennium Development Goals - by scaling up breastfeeding and infant and young child interventions and transforming Policies into Practice which contributes to efforts aimed at addressing climate change and gender inequality in the framework of human rights. WABA is grateful to NORAD (the Norwegian Agency for Development Cooperation) for its support of gBICS. WABA would also like to acknowledge the support of the United Nations Children's Fund (UNICEF) and World Health Organisation (WHO), as well as the participation of our Core Partners - Academy of Breastfeeding Medicine (ABM), International Baby Food Action Network (IBFAN), International Lactation Consultant Association (ILCA), La Leche League International (LLLI), and Wellstart International - in the successful coordination of World Breastfeeding Week. Joint WBW2015 Letter of Support from UNICEF and WHO. 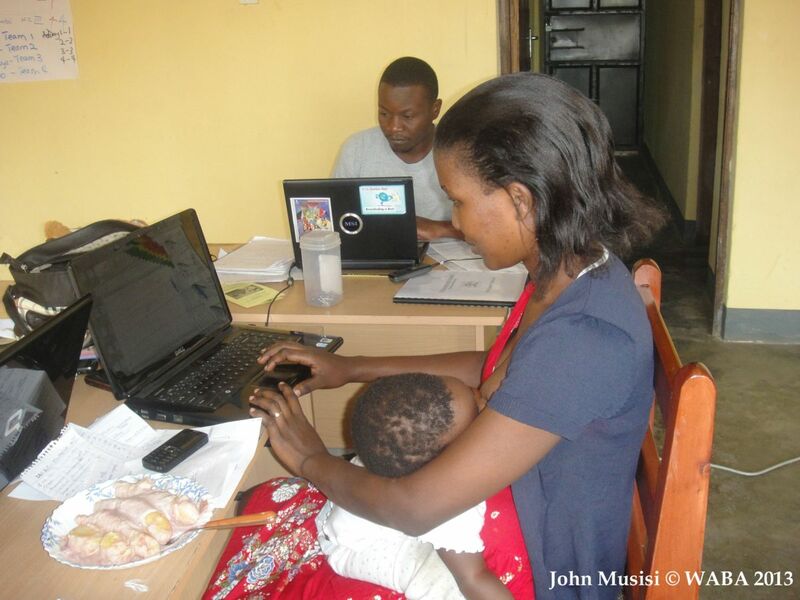 women combine breastfeeding and work! 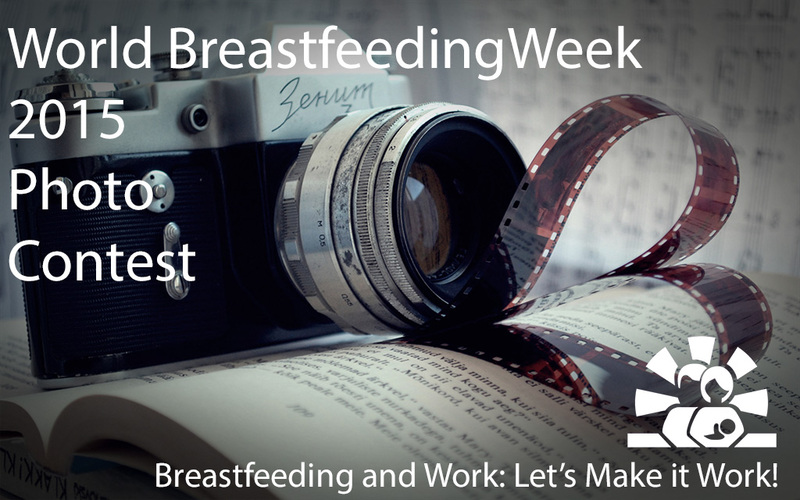 Check out UNICEF's photo essay for WBW2015 on empowering women to combine work with breastfeeding. World Breastfeeding Week 2015 is just round the corner! Join us in celebrating #WBW2015, and use our Social Media Toolkit to promote your own event. Let's make Breastfeeding and Work, work! WBW action folders are now available! Congratulations to photo contest winners! Closing date for contest entry is 17th April 2015. WABA does not accept sponsorship of any kind from companies producing breastmilk substitutes, related equipment and complementary foods. 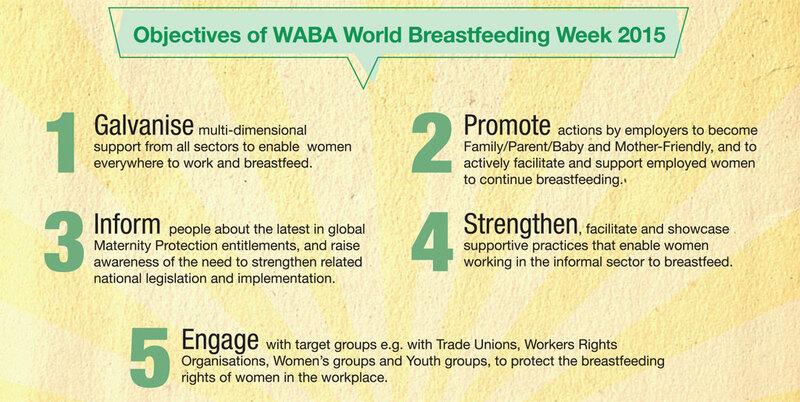 WABA encourages all participants of World Breastfeeding Week to respect and follow this ethical stance. World Breastfeeding Week is coordinated by the World Alliance for Breastfeeding Action (WABA), a global network of individuals and organisations concerned with the protection, promotion and support of breastfeeding worldwide based on the Innocenti Declarations, the Ten Links for Nurturing the Future and the WHO/UNICEF Global Strategy for Infant and Young Child Feeding. WABA’s core partners are the Academy of Breastfeeding Medicine (ABM), International Baby Food Action Network (IBFAN), International Lactation Consultant Association (ILCA), La Leche League International (LLLI), and Wellstart International. 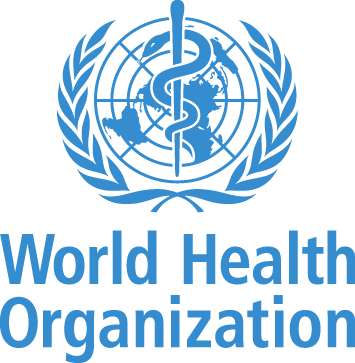 WABA is in consultative status with UNICEF and an NGO in Special Consultative Status with the Economic and Social Council of the United Nations (ECOSOC).